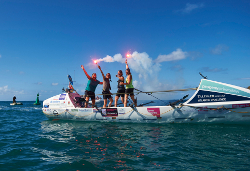 In 2015 Janette Benaddi, along with 3 other Yorkshire mums, Niki Doeg, Helen Butters and Frances Davies, became the first women to row across the North Sea. A year later Janette was Skipper of the Yorkshire Rows Team and with the same 3 women successfully rowed 3000 Nautical miles across the Atlantic Ocean to gain a Guinness world record for being the oldest women to do so. Despite poor performance at school Janette eventually qualified as a nurse, a teacher and a counsellor. She is also a very successful business woman, but she is not an adventurer and would never have dreamed that one day she would row across an ocean in a small rowing boat. The taste of an adventure has inspired her and in 2020 Janette will set off with her husband Ben to sail around the world. Janette is co-author of the book “Four mums in a boat” and is currently writing a book about her business adventures. 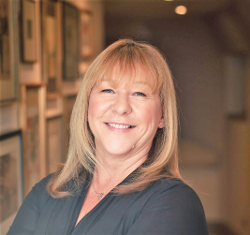 She is passionate about helping SMEs to flourish and grow as well as enjoying her work as a Non-Executive Director. Janette Benaddi is a business woman, international speaker and consultant to the life science industries.